Playing a dynamic role in the Canadian music scene, Lan Tung is an erhu performer, vocalist, composer, producer, and artistic director. Originally from Taiwan, she draws inspiration from her background in Chinese music; however, an intensive interest in music outside her tradition has been a major drive in her artistic explorations. Her influences range from contemporary music, creative improvisation, to various ethnic styles, such as Indian, Flamenco, Uyghur, and Middle Eastern. Lan is the leader of the JUNO nominated Orchid Ensemble and Proliferasian, the founder and artistic director of the Sound of Dragon Music Festival, and she performs with Lalun, Birds of Paradox, Tandava, Vancouver Inter-Cultural Orchestra, Mozaico Flamenco Dance Theatre…, among many other projects. Lan has toured in North America, Europe and Asia, collaborating with composers, musicians, dancers, visual and media artists of various cultural backgrounds. Since moving to Canada in 1994, Lan has appeared as a soloist with Orchestre Metropolitain (Montreal) and Symphony Nova Scotia, and as a soloist/composer with Vancouver Symphony Orchestra, Turning Point Ensemble, Upstream Ensemble (Halifax), Vancouver Inter-Cultural Orchestra (Vancouver & Toronto), Atlas Ensemble (Amsterdam & Helsinki), and Little Giant Chinese Chamber Orchestra (Taipei). Lan has premiered numerous contemporary compositions, including chamber, solo, orchestral and electroacoustic works, by Canadian composers John Oliver, Hope Lee, Moshe Denburg, Mark Armanini, Jin Zhang, Janet Danielson, Barry Truax, Dorothy Chang, Steve Chatman, Rui Shi Zhuo, Neil Weisensel, Paul Plimley, Yawen Wang, Farshid Samandari, Michael Vincent, Nova Pon, and Grace Lee. Her fascination for creative improvisation has driven her to perform with Vancouver’s most innovative improvisers. In 2007, she formed the trio Birds of Paradox with Ron Samworth and Neelamjit Dhillon to explore the fusion of composition and improvisation. Lan has traveled to Switzerland to study graphic scores and improvisation with Barry Guy and to Amsterdam to study and perform with improviser and contemporary violinist Mary Oliver. During her travels in Europe, she also improvised and/or performed with Magpie Improvised Music & Dance Company, Xu Feng Xia, Shangyi Trio, Michael Moore, Wu Wei, Wilbert de Joode, Ig Henneman, Ab Baars, Anne La Berge, Naomi Sato, and Hui Chun Lin. Lan has attended the Vancouver Creative Music Institute (2007-2009), where she has studied and performed with Francois Houle and Paul Plimley (Canada), Han Bennink (Holland), John Butcher, Evan Parker and Barry Guy (UK)…etc. In 2012, Lan formed Proliferasian to perform her compositions for improvisers such as JP Carter (trumpet & electronics), Kevin Romanin (drums) and Colin Cowan (bass). 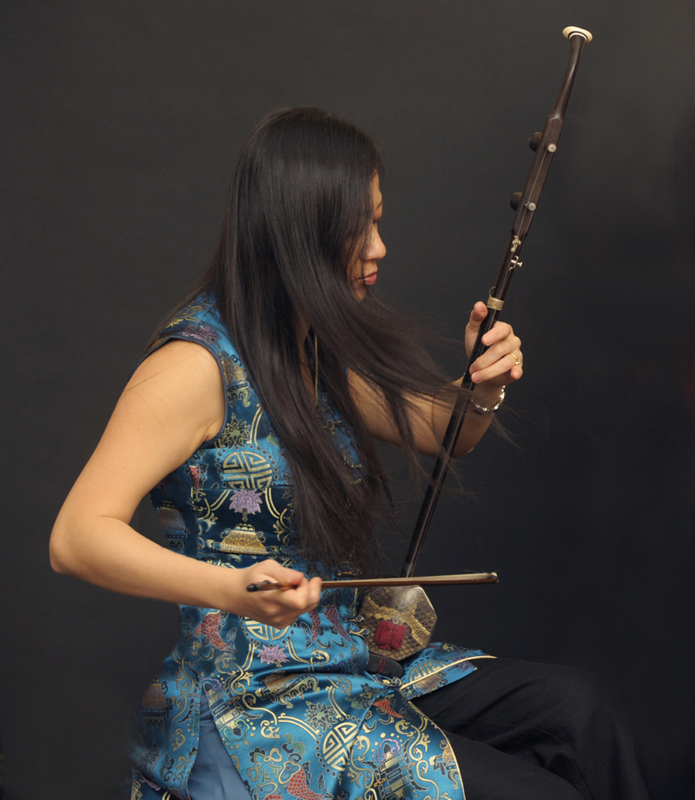 In 2011, the Little Giant Chinese Chamber Orchestra commissioned Lan to compose erhu concerto Peony Dreams for solo improviser and the orchestra. In Dec 2011, Lan performed as the soloist with the orchestra, giving the world premiere of Peony Dreams and the Taiwanese premiere of her 2009 work Ba Ban Variations at the National Concert Hall in Taipei. Lan is active in a number of cross-cultural projects. She has studied with Hindustani violinist Kala Ramnath in Bombay in 2004 & 2006. In 2005, she studied with Egyptian violinist Dr. Alfred Gamil in Cairo, where she also joined qanoun player Hossan Shaker and his band Rahala in concerts. In 2012, she studied Uyghur music with Abdukerim Osman in northwestern China. In Canada, she has collaborated with Persian santur player Alan Kushan, Hindustani sitar player James Hamilton, Carnatic singer Vidyasagar Vankayala, Vietnamese group Khac Chi Ensemble, Klezmer woodwind player Mike Braverman, African drummer Mandido Morris, Mozaico Flamenco Dance Theatre, Uzume Taiko, and Celtic band Mad Pudding. She has appeared on festival stages as a guest with the Tuvan ensemble Huun Hurr Tu, UK’s premiere Afro/World Music band Baka Beyond, and Canadian legend Bill Bourne. Lan performs with the Vancouver Inter-Cultural Orchestra and was serving as its vice president for a number of years. Since 2003, Lan has been performing with Tandava, whose 2005 self-titled debut CD was included on Global Rhythm Magzine’s CD Sampler, reaching over 120,000 readers. As the winner of BC Festival of the Arts’ Award of Excellence, Lan’s role in music is directly related to the rich cultural diversity in Vancouver. In 1997, Lan founded the Orchid Ensemble, with which she acts as the artistic director, producing concerts, inter-disciplinary productions, and tours across North America. With a unique instrumentation of the erhu, zheng and percussion, including the western concert marimba, the ensemble combines traditions from China and beyond, creating a distinct new sound. Lan’s fresh visions have taken the ensemble to collaborate with composers, musicians, dancers, media artists, and calligraphers from different cultures in innovative programming. As a composer, the various influences come together in Lan’s works. She uses traditional melodies as bridges to connect between Asian and western ears. She experiments with contradictions by taking culturally specific materials outside their context and fusing them with other genres. Incorporating improvisation with Chinese tradition, she explores new territory to discover fresh sounds on traditional instruments. Lan has been playing the erhu for more than thirty five years. In Taiwan, she received her training under Chen-Ming Huang (founder of the Chai Found Music Workshop), Su-Feng Chen (concert master of Taipei Municipal Chinese Orchestra), and then with Chun-Tung Lee when she entered the Chinese Cultural University to major on the erhu. Lan has won numerous first prizes in national music competitions in Taiwan and was a member of the Taipei Chinese Youth Orchestra. Lan has also studied with Ng K. B. (China Oriental Song and Dance Ensemble) in Canada, American Chinese virtuoso Jebing Chen in the US, and the principal erhu player of the China Radio Orchestra Fun Ming Zhang in China. 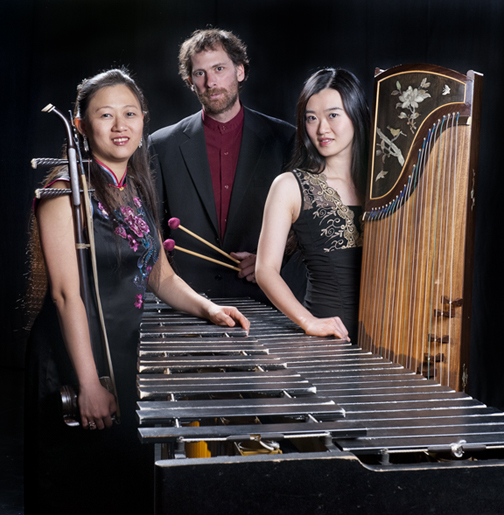 Tung gives close to one hundred performances and presentations internationally every year, including music festivals, community concerts, school demonstrations, lectures, and university/college residencies. US appearances included Kennedy Center for the Arts and the Smithsonian Institution, Detroit Institute of the Arts and at Bena Roya Hall for the Seattle Symphony Society. National performances included Ottawa’s Canada Day Celebrations, Harbourfront Centre, Toronto Street Fest, The Music Gallery, Royal Conservatory of Music, Vancouver Jazz, Folk and Children’s festivals, National Arts Gallery, National Library, Ottawa Jazz Festival, Ottawa Bluefest, Halifax’s JazzEast, Sunfest, Montreal’s Centre Pierre Peladeau and Chapelle Historique du Bon Pasteur. In 1999, Lan received a special award from the Taiwanese Canadian Cultural Society for facilitating cultural exchanges in Canada through music. Lan founded the first Chinese Music program for young people in 1998, and she teaches in both English and Chinese. “Triaspora” – Chinese Diaspora, Orchid Ensemble with Moving Dragon (Chinese contemporary dance) and Flicker Arts Collaboratory, 2007. Remounted at BC Scene, National Arts Centre, April 2009. 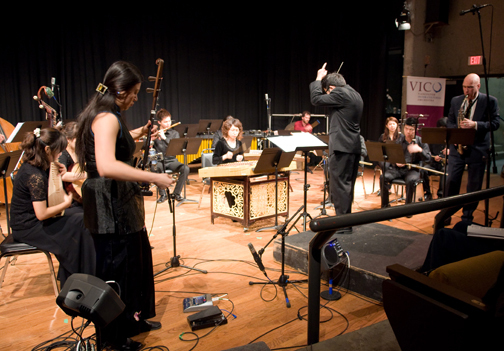 “Multimedia – Road to Kashgar” – Orchid Ensemble with Flicker Arts Collaboratory, 2007. “Parting at Yang Kuan” – music and poetry, Orchid Ensemble with flautist Mark McGregor, Egret Choirs, and Flicker Arts Collaboratory, 2006. “Heartland” – Orchid Ensemble with African percussionist ManDido Morris and Jewish woodwind player Mike Braverman, 1999. Special award from the Taiwanese Canadian Cultural Society for promoting Chinese music in Canada, and facilitating cultural exchange through music, 1999. Awards of Excellence, BC Festival of Arts, 2001. 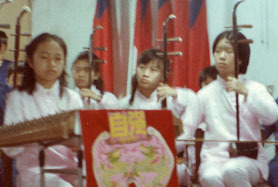 First Prize – Erhu solo competition of Taiwan 1991. First Prize – Erhu solo competition of Taipei 1991. First Prize – Erhu solo competition of Taipei 1990.